An aortic aneurysm is a weakened or bulging area on the wall of the aorta, which may occur anywhere on it. Rupture: A hole develops in the weakened or ballooned area, called a rupture, that lets blood to leak or burst out into the body. Dissection: Aortic dissection is a split between the layers of the aorta that traps blood coming from the heart. The layers of the artery wall are split by the blood pumped forcefully through the aorta, creating an area where blood builds up and continually leaks into the space, which further splits the artery wall. 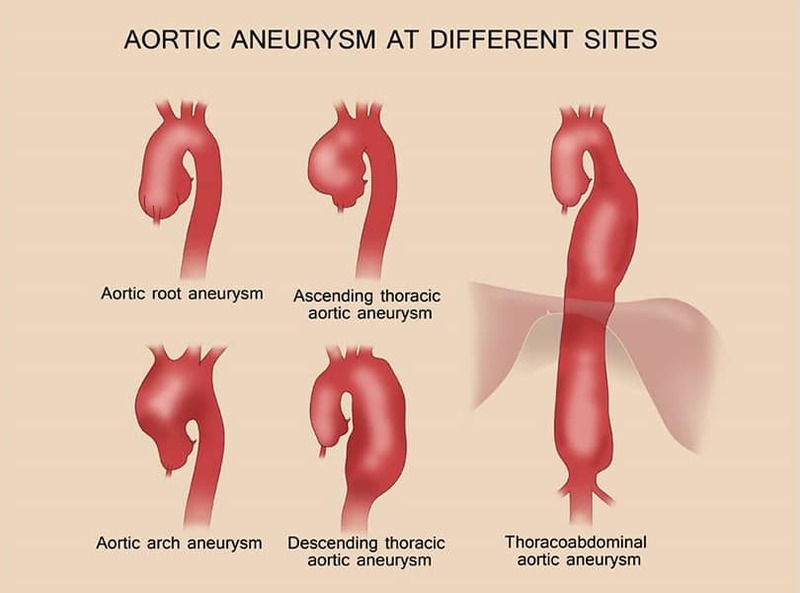 What causes an aortic aneurysm or dissection? The wall of the aorta is normally quite elastic, allowing it to stretch and shrink to accommodate blood flow. Certain medical conditions (high blood pressure and atherosclerosis, for instance), can weaken the artery walls. This weakness, coupled with the normal wear and tear of aging, can further threaten the aortic wall, allowing it to bulge outward. 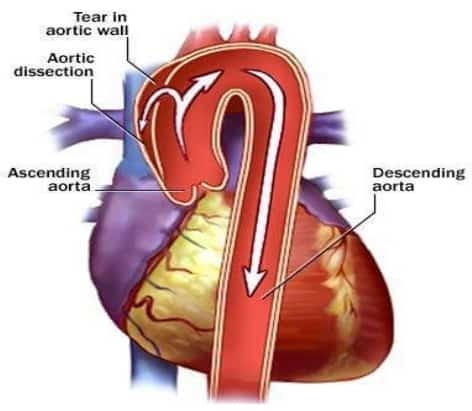 Aortic dissection occurs when an injury to the innermost layer of the aorta allows blood to flow between the layers of the aortic wall, forcing the layers apart. Because the section of the aorta with the aneurysm is weakened, it can burst, leading quickly to serious bleeding or even death. How is an aortic aneurysm or dissection treated? Surgery to repair or replace the damaged section of the aorta. Surgery is the main treatment option if the patient is able to undergo the operation. The type of surgery and specific approach is determined by the location of the aneurysm. Medication to lower blood pressure and reduce the risk of future rupture. Your surgeons at Phoenix Cardiac Surgery will evaluate your situation and employ a multidisciplinary approach to provide you the best care for your particular disease and overall health status.